He's ingenious, he's phobic, he's obsessive-compulsive. 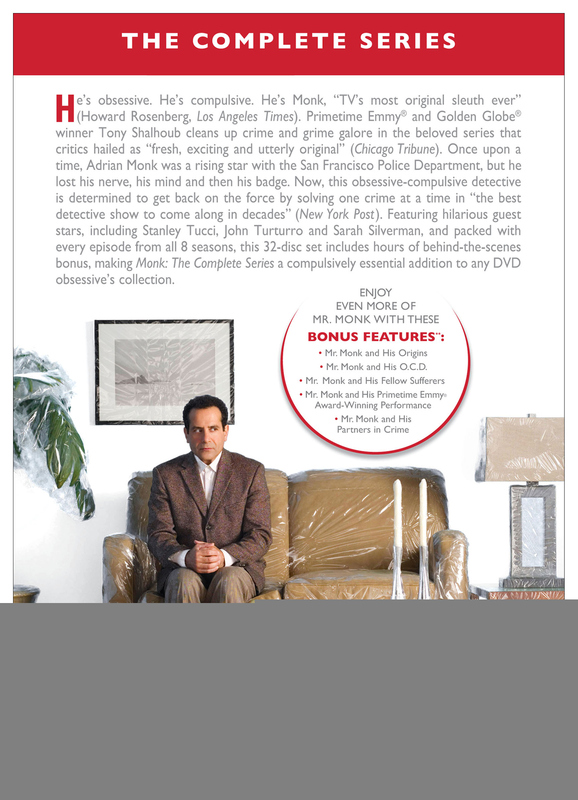 Emmy and Golden Globe Award winner "Tony Shalhoub is a riot" (TV Guide) in Monk, the show that critics are praising as "fresh, exciting and utterly original." (Chicago Tribune)Monk's hilarious, offbeat antics have made him unfit for duty but he's back as a police consultant to help out on their most baffling cases. The brilliant but neurotic Monk is now fighting crime as well as his abnormal fears of germs, cars, heights, crowds and virtually everything else known to man in "the best detective show to come along in decades." (NY Post) "Nothing on TV generated more fun than this" (LA Times) and now you can enjoy the entire first season of Monk on DVD. Mr. Monk and His O.C.D.